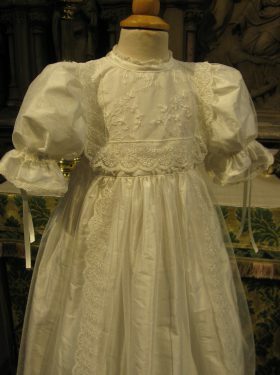 Probably the most famous christening gown in Great Britain is the Royal Christening Gown, used by all Royal babies since 1841. 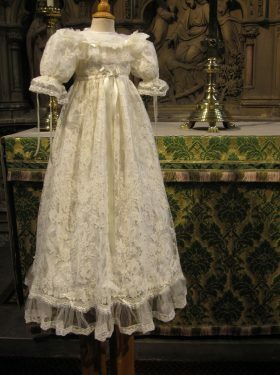 The original Christening Gown was commisioned by Queen Victoria shortly after her wedding to Prince Albert. 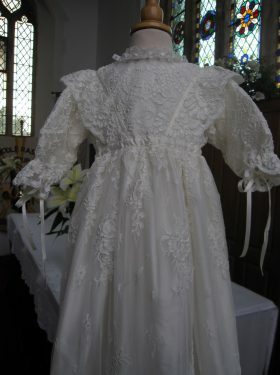 The fabric used to make it was the same as that of her wedding gown, duchesse silk satin and Honiton lace. 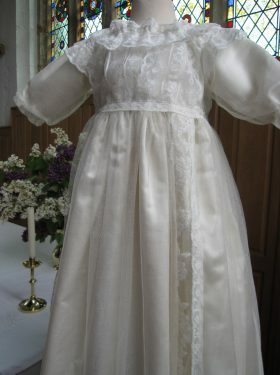 More than 60 Royal babies have been baptised in the gown but sadly due to deterioration this satin christening gown has now had to be retired. In 2008 a new replica gown was commisioned and it is this gown that has been used since and will be used for all future babies. Replicating the original in every way, the new gown really is a work of art. Little Doves is pleased to offer its own Royal Christening Gown Collection. With similarities to the English Royal Family’s christening gown, we have created a baptism gown that mirrors its fabric and grandeur.